We are happy that you found your way to our fundraising campaign. 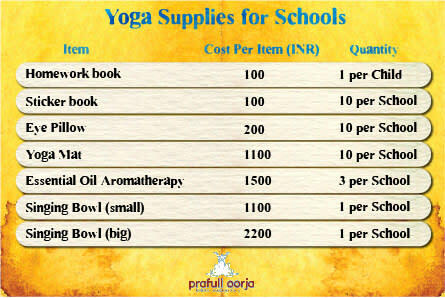 Our aim is to provide new yoga supplies for Prafull Oorja’s uBloom program which benefits children with special needs. While Indian summer break is around the corner, we are already thinking about next school year. This summer, help us to raise 650,000 INR/ 10,000 USD so the kids start the school year fresh with new and eco-friendly yoga therapy supplies. 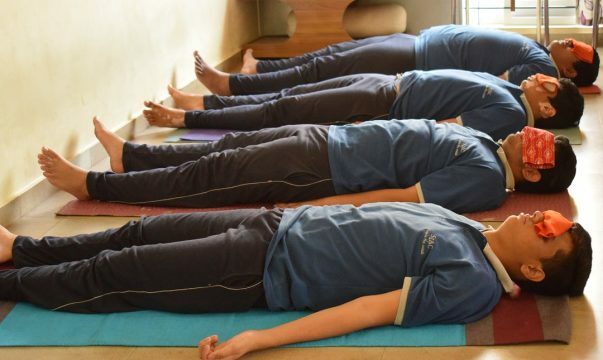 Prafull Oorja is a Bangalore-based charitable trust foundation that brings yoga and other holistic practices to under-resourced communities such as special needs children, prison communities, trauma survivors, children homes, rural women and youth. The organisation trains teachers, parents, yoga teachers and local leaders to sustain the systems and practices shared. In addition, Prafull Oorja provides economic opportunities for beneficiaries to teach/ lead yoga sessions, or create handmade yoga products. Prafull Oorja has existed for 4 years, and is rapidly growing while receiving positive feedback and a high demand for the services provided. The non-profit organisation is currently serving in Bangalore and Mumbai, with ongoing plans to expand to other rural and urban areas in India. Prafull Oorja’s vision is to share yoga and holistic practices with under-resourced communities in order to empower and enhance their lives and sense of well being. The support system which Prafull Oorja provides to these target groups, irrespective of caste, creed, gender or religion, is unmatched in the space in which this organisation works. 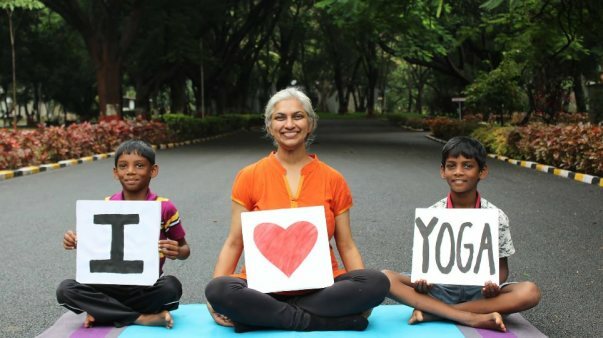 Prafull Oorja’s 20 uBloom yoga therapists currently serve 550+ special needs children in 20 schools across Bangalore and Mumbai for around 50 hours each week. In 2018/19 school year we are anticipating serving over 1500 children every week across India. Yoga is scientifically proven to improve physical, mental and emotional wellbeing. 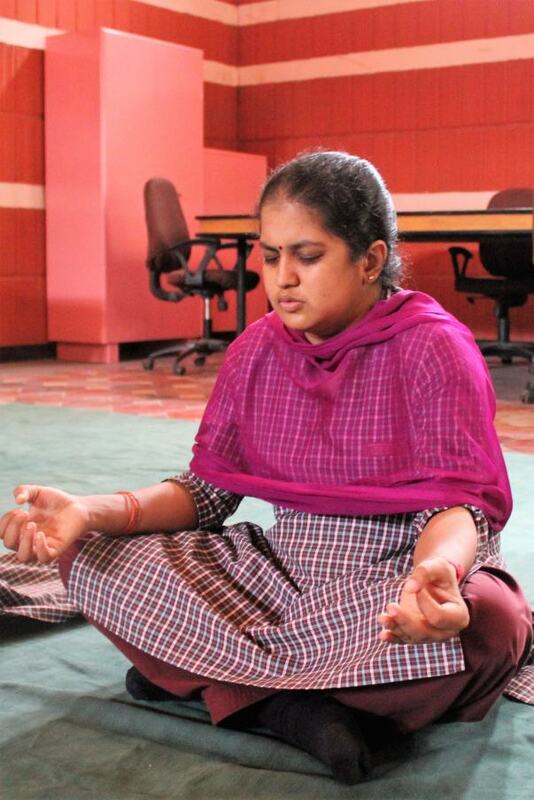 The uBloom yoga therapy for special needs classes are comprised of asanas (poses), pranayama (breathwork), mantras (songs), mudras (hand gestures), and dhyana (relaxation). 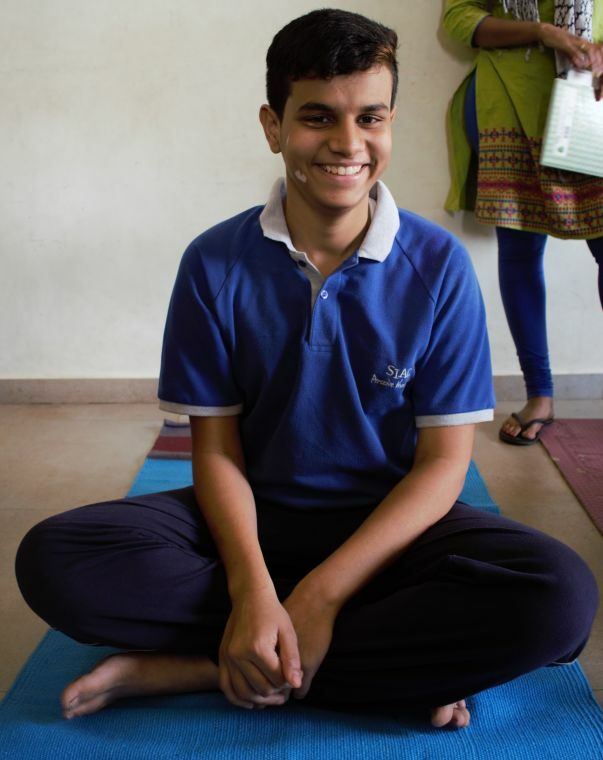 Our uBloom curriculum at Prafull Oorja is designed to use yoga as a form of therapy to help children with special needs transform physically, mentally, emotionally and socially. 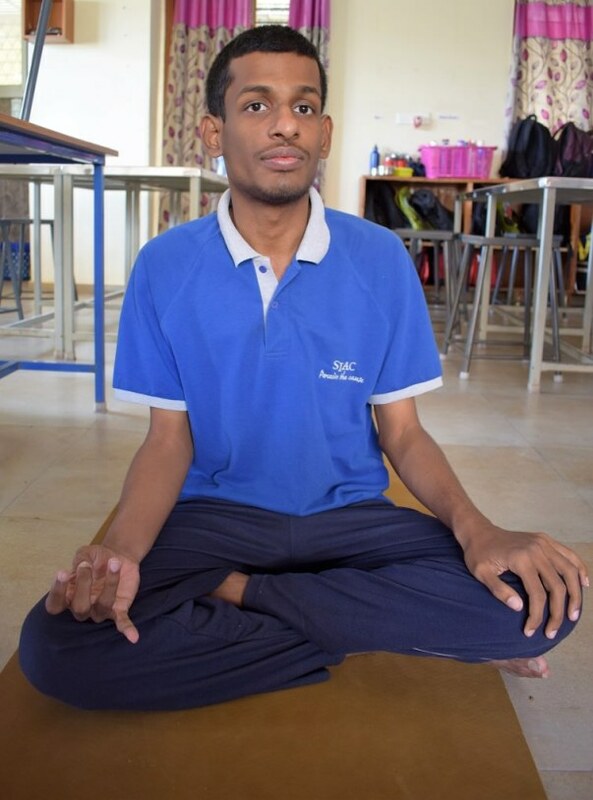 Read more about the benefits of yoga therapy for special needs on our website. The 2011 Indian Census identified almost 27 million people living with a mental or physical disability in India and found that at least half of the respondents were children. Despite a large number of people with disabilities, there are few resources available regarding education and therapy for special needs, especially in rural areas which make up about 70 percent of India’s 1.3 billion population. In India, children with special needs are often rejected from their families which removes support for the child and causes suffering for the entire community. Beyond the societal difficulties, persons with disabilities face personal issues associated with their unique disability which include: difficulty communicating, understanding and expressing emotions, moving independently, understanding instructions or social cues, focusing, relating to others, sitting still and registering stimuli. At the present moment, the schools Prafull Oorja serve are either missing necessary supplies or are having yoga mats and other material which are damaged. In some of our schools' kids practice on the floor and at others, we need to replace torn old mats with cloth mats. In order to maximise the impact of the yoga therapy, we are looking to collect funds to support our 2018/19 schools with eco-friendly yoga supplies. 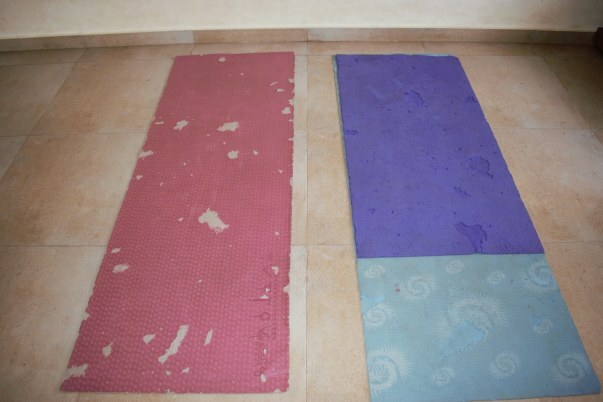 The condition of yoga mats at one of the uBloom yoga therapy schools. With your help we can provide uBloom yoga therapy schools with eco-friendly cotton mats. We are estimating approx 20,000 INR would be needed per school, which adds up to a total 650,000 INR/ 10,000 USD. In case our fundraising target is exceeded, additional funds will be used towards Prafull Oorja’s overall mission to provide yoga therapy and other holistic practices towards to under-resourced communities. Tibetian singing bowls can be of varied use during a yoga therapy class. Every donation counts and will receive the children’s warmest gratitude in the form of a thank you message. 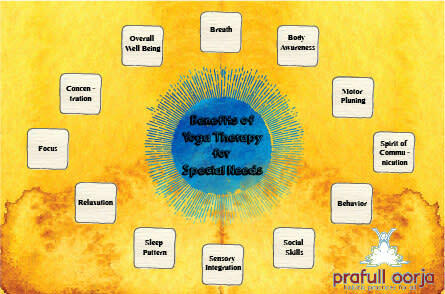 You will also see pictures of how your contribution has brightened up their yoga therapy sessions. Donations over 5000 INR receives a personal thank you post on Prafull Oorja’s Facebook page. The positive impact of uBloom yoga for special needs program have been experienced by school staff and directors, uBloom teachers, parents and participants themselves. Here follows a few testimonials showing that the uBloom program for special needs are making a lasting impact in the children's lives. "I like to do the surya namaskar, butterfly and crocodile pose. I like yoga very much"
"I like to chant OM. My favorite poses are dog pose, cat pose and butterfly pose. Yoga makes me feel good"
"I like to do yoga everyday. Yoga is good for body and health. For all. Yoga makes me feel good. I like to do the cat pose"
"I feel great when I do yoga. I feel relaxed. I like to sing the tree song and do the tree pose"
"My favorite poses are cat, lion, chair and tree. I love yoga and I love to sing the butterfly song which my teacher sings"
"I feel good when I do yoga. I like to be a butterfly when we do the butterfly pose. Butterfly, butterfly fly fly fly. Fly up high, up in the sky"
We appreciate any donation, big or small. 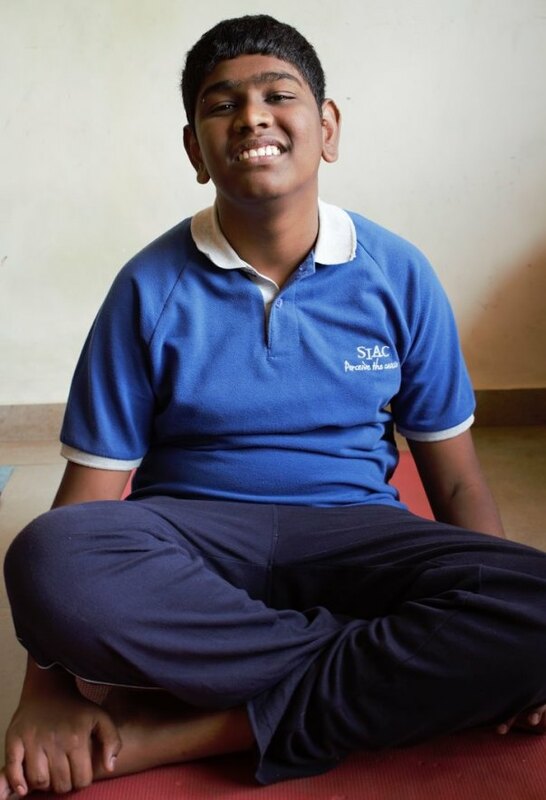 Help us to support special needs children getting the most out of their yoga practice while providing them with new eco-friendly yoga supplies! Please reach out to us if you have any questions related to the campaign or Prafull Oorja’s work in general. Visit our website and Facebook page to keep updated and learn more about our various projects supporting under-resourced communities. Thanks for the wonderful contribution till date. We have already begun the process of procuring the items as mentioned in the campaign. We will keep you posted. 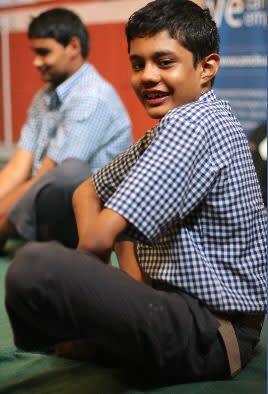 We have been instrumental in utilising the funds for special Needs kids for SEWA in action school. We have a lot more lined up on this. We will update you further on this. Thanks for the unflinching support to our cause!